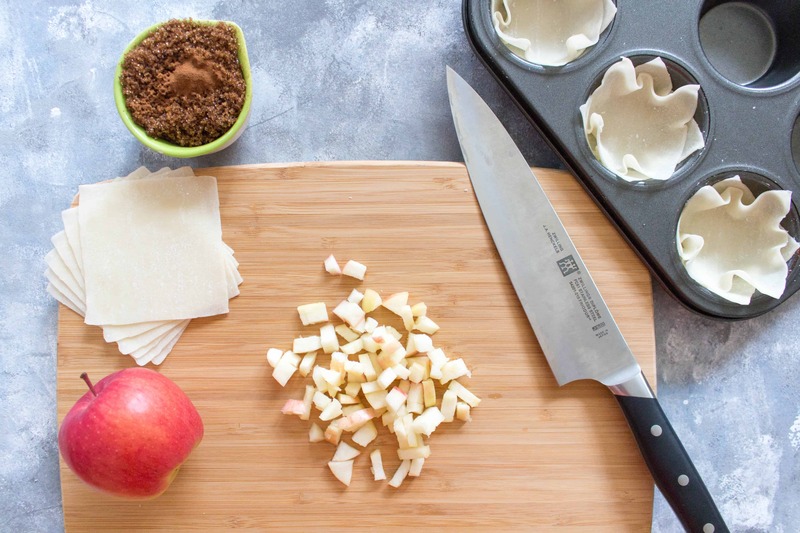 Take a fun new twist on your traditional apple pie with these wonton apple pies. Plus, individual servings means less time spent cutting and more time eating! Disclaimer: This post was made in partnership with Ontario Apple Growers. Thank you for supporting the brands who support me. Not too long ago, I had the privilege of getting a behind the scenes look at the Ontario apple growers. Did you know that the Ontario Apples Growers represent over 230 Ontario Apple Farmers? They grow over 15 different varieties! Growing up, my mother would always cut apples up for me because an apple a day would keep the doctor away! However, I never really thought about where the apples came from… I always assumed all apples and apple products I was eating and drinking were from Ontario or at least Canada. I mean there is over 15000 acres in Ontario dedicated to growing apples! How naive was I?! During the tour, I learned about how if a package says Canada Fancy Grade doesn’t actually mean it’s from Canada. 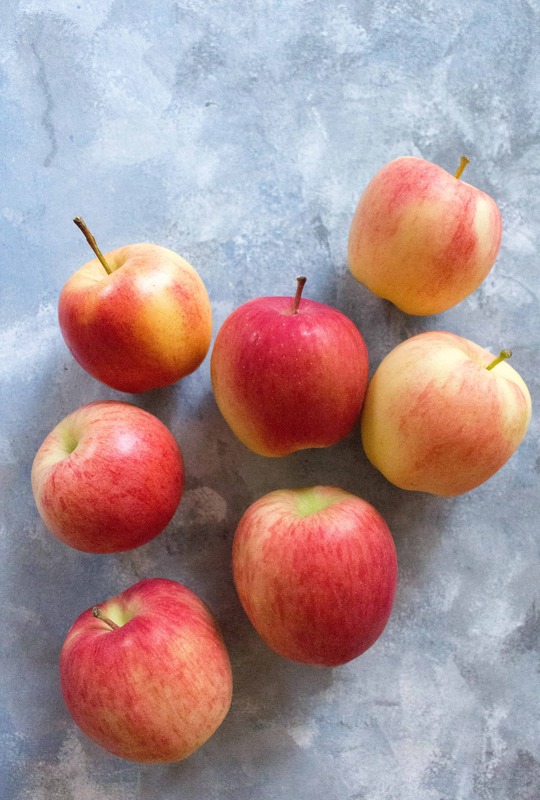 Did you know, only a small percentage of the apples from Ontario Apples Growers goes into “concentrate” so when you’re purchasing apple juice from concentrate and it says Canada Fancy Grade, it means that potentially those apples in the juice were made from apples in China. I was honestly pretty angry when I heard that, I felt lied to. And now I know that I have to always keep an eye on the labels and make sure they say Foodland Ontario on them so I’m consuming apples grown in Ontario and supporting local farmers. I wouldn’t say I have a love affair with wontons but I freaking love eating them! Growing up in an Asian household means I ate my fair share of wontons wraps from eating it dumpling style in a soup to fried at a buffet to my very favourite way, wrapped around siu mai during dim sum. So I’m always trying to find fun new ways to incorporate wonton wrappers into my life. 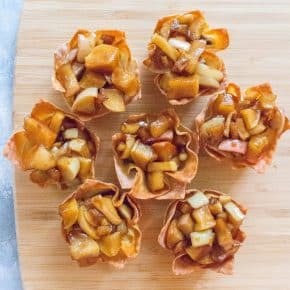 So during the holiday season and having pie on my mind, I thought, why not using wonton wrappers for the apple pie and have them made in individual servings? 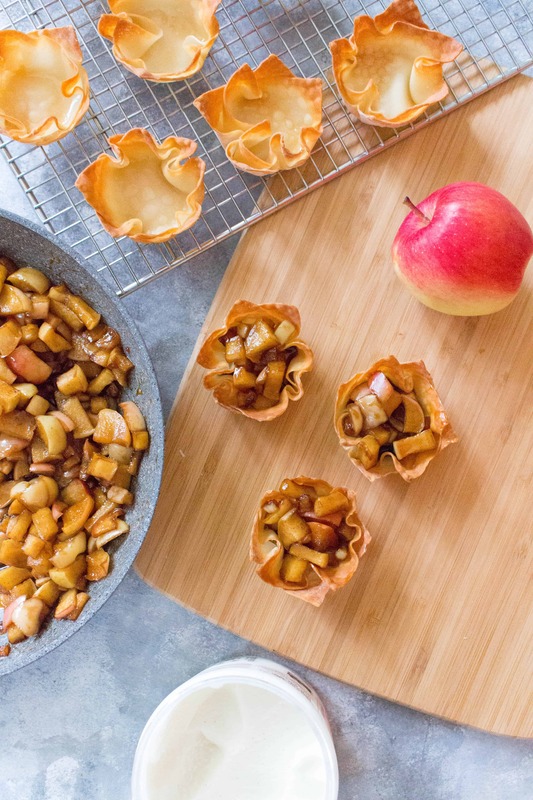 Wonton Apples Pies be perfect as a bit of an appetizer/finger food or at the end of a meal. Plus the wonton wrappers give these wonton apple pies a nice crispy texture which is a little different than the usual apple pies you eat. 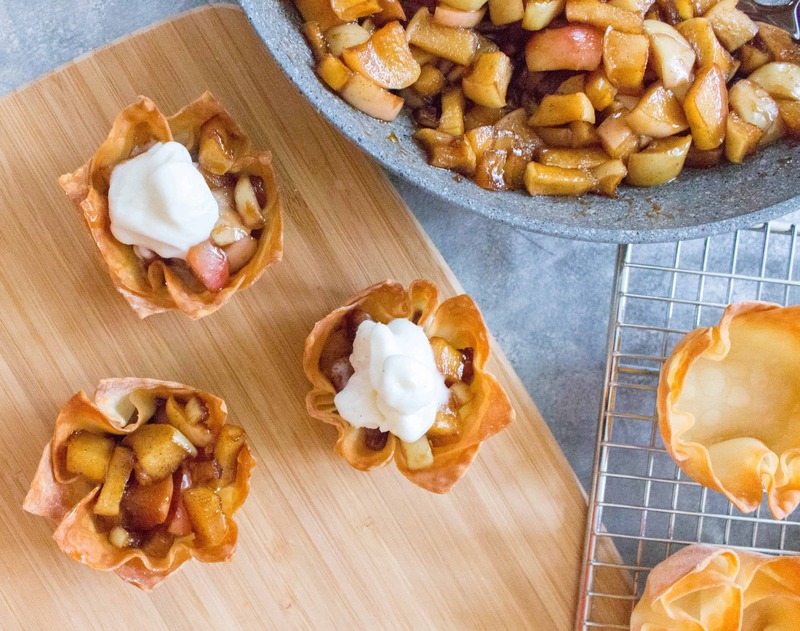 For these Wonton Apples Pies, I used ambrosia apples – they’re sweet with low acidity plus they hold their shape and flavour very well so they’re perfect for baking! I also used organic light brown sugar from Wholesome to keep things lighter! 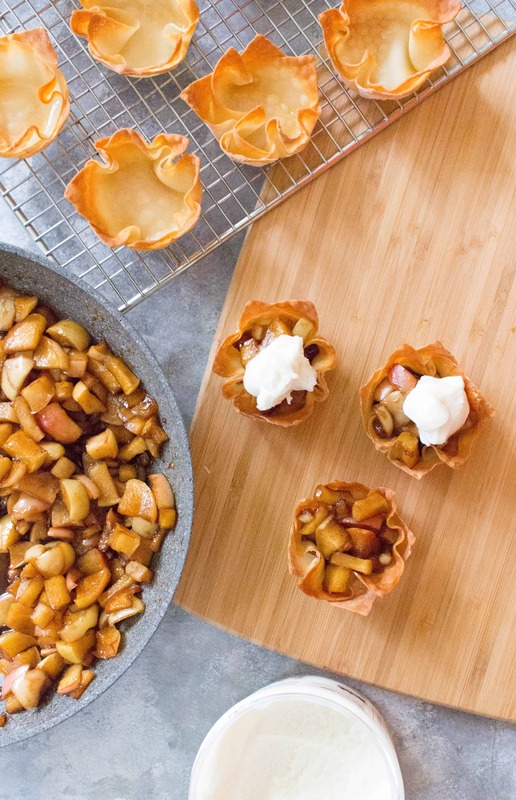 A fun new twist on your traditional apple pie. Plus, individual servings means less time spent cutting and more time eating! In a muffin tin, place in two wonton wrappers per slot and spray it lightly with oil spray so the wontons crisp up evenly. Bake the wonton wrappers in the oven for approximately 10 minutes, until it's golden and crispy. While the wrappers are in the oven, get started with your apple pie filling by placing all the ingredients for the filling into a skillet (butter first). Let it simmer while stirring occasionally until the apples have soften and the liquid becomes almost like a syrup. Let everything cool a bit and assemble by spooning the apple pie filling into the wonton wrappers. Optional: top with ice cream! Let’s Chat! What’s your favourite apple dessert? OMG THESE ARE SOOOO perfect! The perfect portion controlled bite… Until I eat 10 of them, LOL! Yum, it looks delicious! Love all the apple desserts. WONTONS! I couldn’t love this move. And I still have home canned apple pie filling I need use. YES. 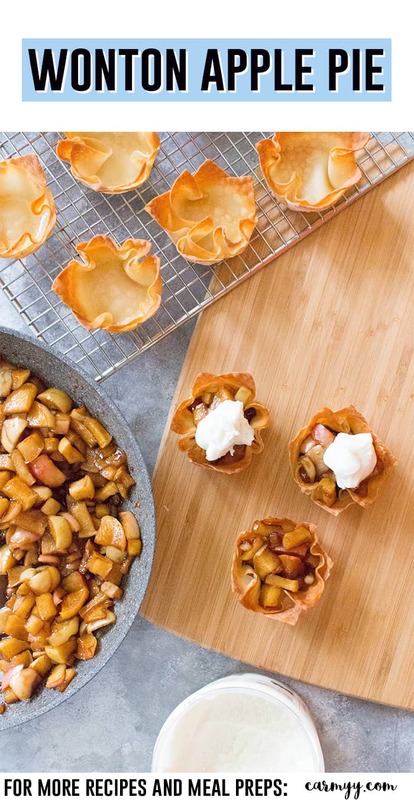 Well this is certainly a fun twist on apple pie! Love the individual portion sizes. You mixed two of my favorite foods! These look so good! I love the idea of the gooey middle and crunchy outside! What a cute idea! These look too cute to eat!